If you have been following a low-carb, ketogenic diet for any period of time, you’ve probably missed bread. I know I have! 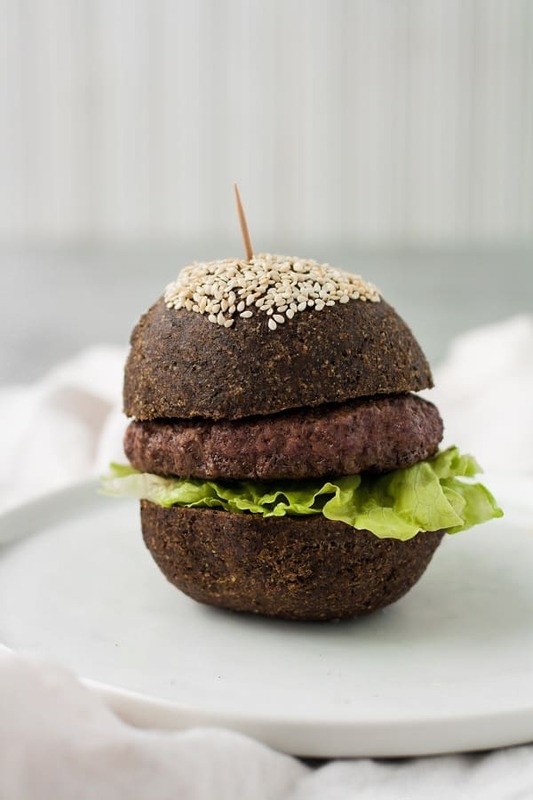 There were only so many times I could eat a sandwich wrapped in lettuce before my body was yelling at me to develop a keto-friendly bread roll and bread bun recipe! After a lot of experimenting with a variety of ingredients, I am excited to share this delicious recipe for Keto Vegan Bread Rolls with you all! This recipe has quickly become one of my favorites as it completely satisfies my craving for soft, flaky bread! 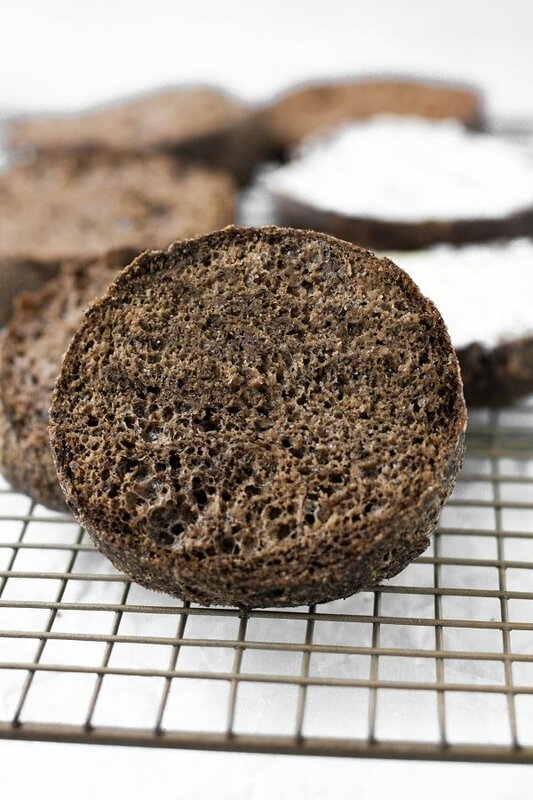 During the baking process, the ingredients in this recipe come together to create a bread that so closely resembles traditional baked bread that you won’t even miss the other high-carb, junky ingredient stuff! In our household, we’ve enjoyed this bread as a roll with butter or almond butter spread on top and as a bun for sandwiches and burgers. They store perfectly on the countertop or in the refrigerator, so you can batch make them and enjoy them a variety of ways throughout the week! Many keto bread recipes contain dairy and eggs, which some people either choose not to consume or may be intolerant or altogether allergic. 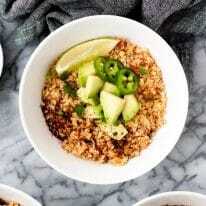 In knowing that, I wanted to develop a recipe that would fit a variety of diet lifestyles! Keto/Low-Carb: One bread roll contains 3.3 grams net carbs per serving. 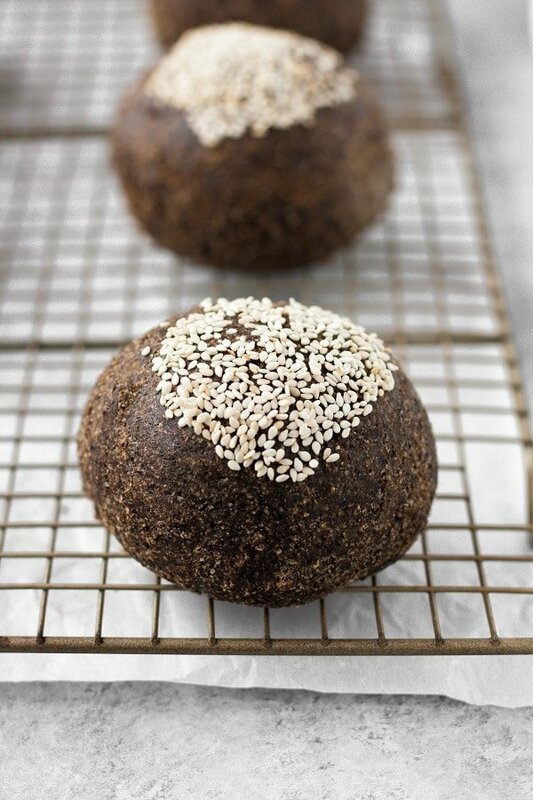 Paleo: Made without gluten, grains, soy, sugar, or dairy, these bread buns are paleo-compliant. Dairy-Free: This recipe is entirely dairy-free and lactose-free. 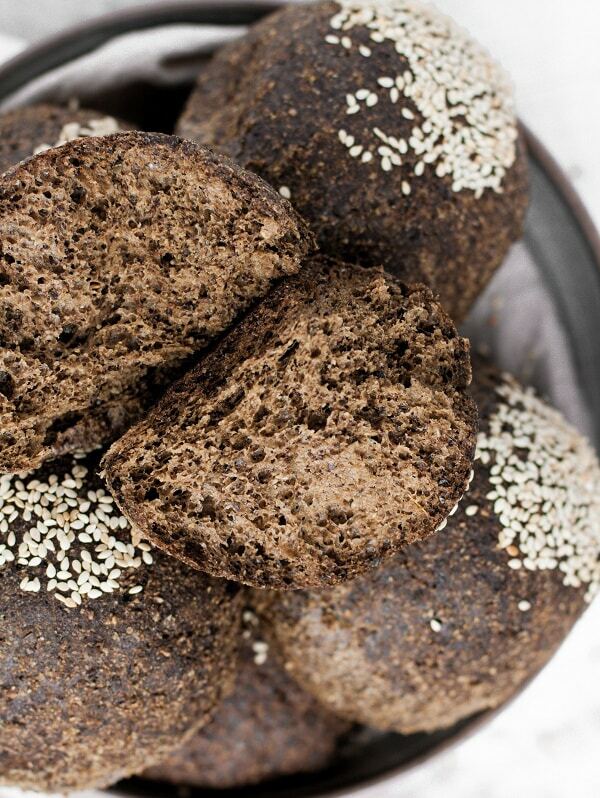 Egg-Free: In place of eggs, these bread buns contain ground flax seeds and psyllium husk powder. Flax seeds and psyllium husk are both incredibly fiber-rich and are a great vegan alternative to eggs. Gluten-Free/Grain-Free: This recipe does not contain any grains or gluten. 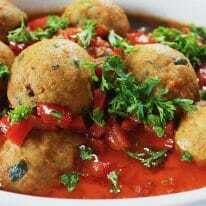 Vegetarian/Vegan: This recipe is made without any animal products making the bread rolls both vegetarian and vegan. One bread roll contains 3.3 grams net carbs per serving. 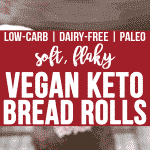 These Keto Vegan Bread Rolls are keto, low-carb, paleo, dairy-free, egg-free, gluten-free, grain-free, vegetarian, vegan, and refined-sugar-free. 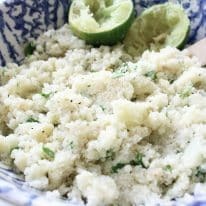 You can find all Real Balanced keto recipes here! 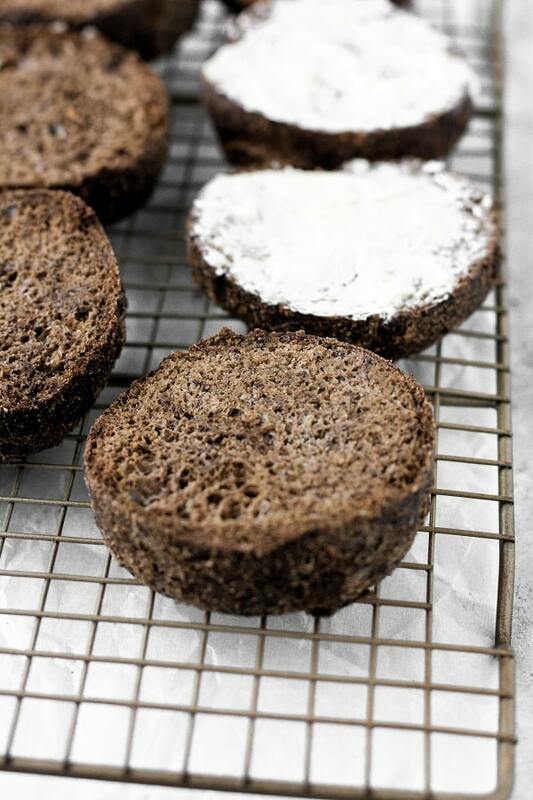 These Vegan Keto Bread Rolls are the most delicious, low-carb, and allergy-friendly way to enjoy bread! 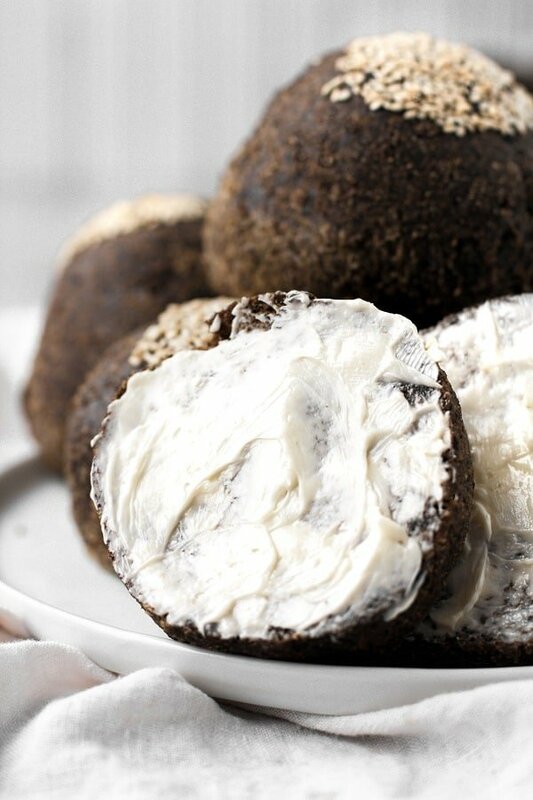 They can be topped with your favorite spread or cut in half and used as a bun! 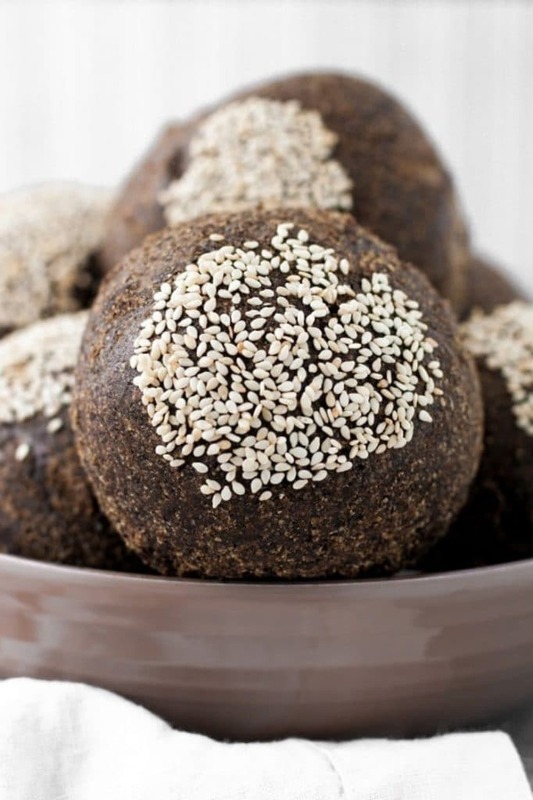 This recipe is keto, low-carb, paleo, dairy-free, egg-free, gluten-free, grain-free, vegetarian, vegan, refined-sugar-free, and has only 3.3g net carbs per roll! In a medium bowl, add dry ingredients and whisk together until fully incorporated. Add flax egg and mix with electric mixer until well-combined. With the electric mixer turned on, slowly pour boiling water over dough mixture. Mix until all ingredients are combined. Let dough rest for 5 minutes. Form dough into 6 equal rolls (*see note below). (Optional) To a shallow dish, add a small amount of water. To another shallow dish, add sesame seeds. 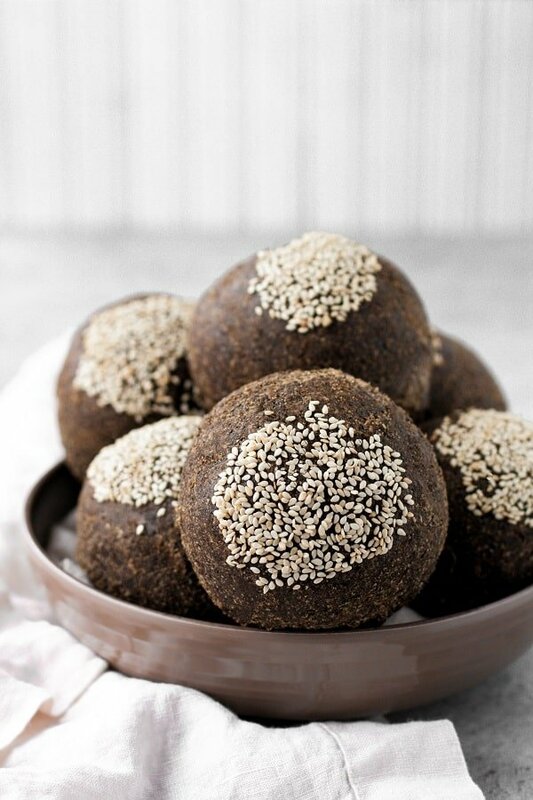 Dip rolls one-by-one in water then sesame seeds to coat the top. Place rolls on prepared baking dish and bake for 50 minutes. Turn oven off and crack oven door. Allow rolls to sit inside cooling oven for 10 additional minutes. Remove rolls from oven and allow to fully cool before serving. I weighed my dough using a food scale. Each roll prior to baking weighed approximately 130-135 grams. Store rolls in airtight container on countertop or refrigerator. The buns came out super tasty and perfect for breakfast sandwiches, however, all 3 times that I have tried the recipe, the buns would inflate and then collapse in the oven, so they come out more so like a flat bread. I had followed the recipe to a tee so I was wondering if you’ve ever experienced that. Hey, Abby! I’m not sure why that would happen, unfortunately. Perhaps the mixture was over-mixed prior to forming into rolls? Or maybe it’s purely a difference in altitude? So glad you enjoyed, Madhavi! Thanks so much for vegan Keto recipes. They are hard to find and some aren’t great. I am going to try this and I’ll post when I do. Brilliant recipe! Worked perfectly. Thank you so very much. I’d like to try it in a loaf pan. Have you done that.. any suggestions? I haven’t tried that, so I can’t say for sure if it would work. I’d venture to say the bake time would be similar to the original recipe! If you try it, let me know how it goes! So happy to hear that you enjoyed the bread, Connie!!! Thank you for taking the time to leave a comment and leave a recipe rating!